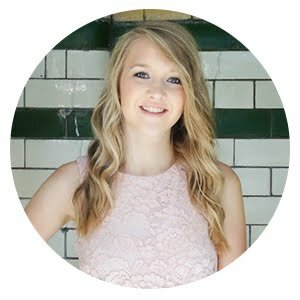 As I went to write this post, I noticed that I never uploaded a March Favourites, so I do apologise for that. 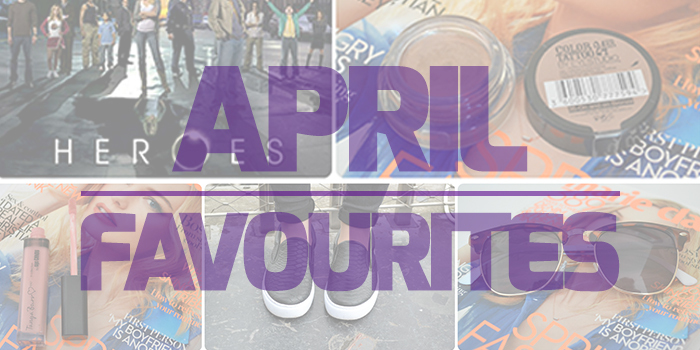 However, somehow we're now at the end of April and I have a few favourites to share with you. I have a couple of the Maybelline Color Tattoo's already and find them ideal as a base for my eyeshadow if I'm not using a primer. I had heard many good reviews of the shade 'On and on Bronze' and so I was eager to give it a try. 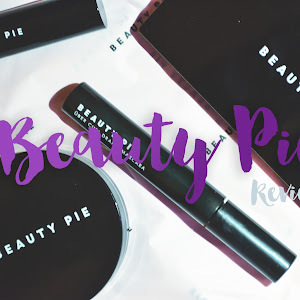 When I first tried it, it was a lot darker than I had expected, so I only use a tiny amount and it adds a lovely base to my eyeshadow, especially if I'm using lighter colours. If I'm in a really lazy mood, I will just wear it on it's own and it lasts all day without creasing which is very rare for cream eyeshadows. I bought this lipgloss last year when Tanya Burr first launched her cosmetics range, I spent ages in Superdrug trying to decide which one to buy as I loved all of the different shades. However, I settled on 'Afternoon Tea' and wore it all Summer. 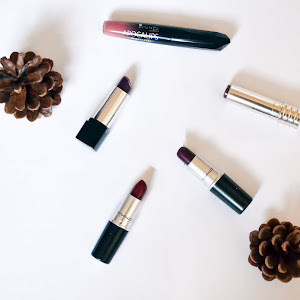 When it came to the Winter I stopped using it as much, instead preferring to wear darker lipsticks and lipglosses. However, with this warmer weather we've been having lately, I've been wearing it constantly, it's perfect for a lovely 'summery' make up look and I'll definitely be returning to Superdrug to stock up again for the Summer as I'm nearly all out. Buying sunglasses is one of my biggest nightmares, I can never find any that suit me and so every time a pair break I dread buying new ones. However, a few weeks ago, I was in River Island and found these half frame tortoise shell ones, I tried them on and for the first time ever, fell in love with a pair of sunglasses. They've been perfect these past few weeks with the hot weather and I dread the day they break. These featured in my Spring OOTD post so I won't ramble on about them too much here. However, they are honestly the comfiest shoes I own. I've worn them non stop since buying them and they're so versatile to wear, I can dress them up or down depending on what I'm doing. I love them so much! I know I'm extremely late to the party with one, but I have been loving this TV series this month. As I've mentioned in many previous 'Favourites' posts, Emil and I always have a TV series on the go that we watch when we're together. 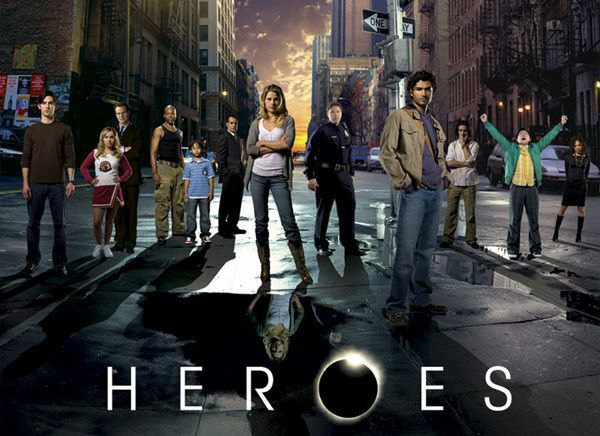 Searching through Netflix we came across 'Heroes' and I had heard so many good things about it years ago, but had never got round to watching it, so I'm catching up with it now. For those who don't know, it's about these individuals who have special powers eg. regeneration, invisibility, flying, time travelling etc and there's others who are out to help them, but also there's a man named 'Sylar' who is attempting to kill them all in order to absorb their powers. 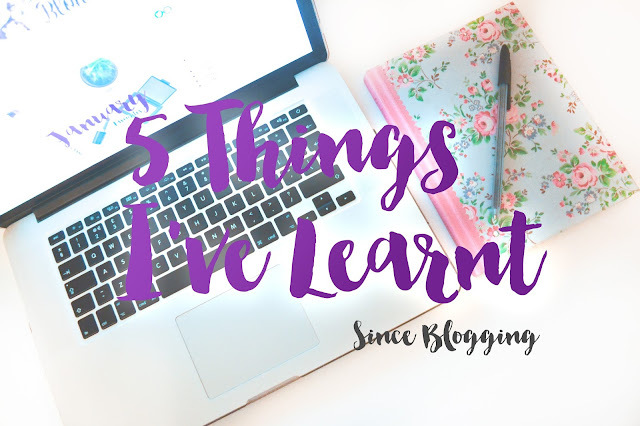 There's so many different plot twists, that you are constantly on the edge of your seat. There's about 20 episodes and I think 4 seasons, so it'll be a while until we finish it, but I'm absolutely loving it! What have you been loving this month? Let me know in the comments below.